Custom temporary tattoos make a fun and unique addition to any occasion or promotional event. 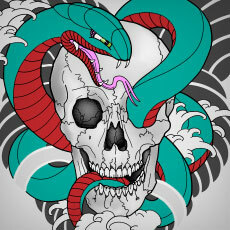 Simply upload your own design or choose from our artwork. For a more premium finish, try our specialty tattoo materials. Our high quality temporary tattoos are non-toxic and FDA approved. Instructions are printed on the back of your tattoos. Temporary tattoos that you can customize are a fun way to amp up any corporate or personal event. Temporary tattoos can do more than just make you look cool, temporary tattoos can adhere to smooth surfaces like glass or wood, making them a perfect and ultra-modern decorating tool. Stand out at summer music festivals, decorate your wedding, or throw the most memorable birthday party ever. All of our tattoos are waterproof and totally customizable! 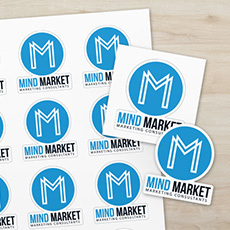 Make your custom temporary tattoos a staple at your next social gathering or corporate event. 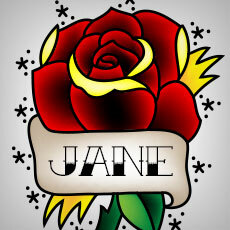 StickerYou uses quality tattoo ink to make sure all your logos and designs are bright and bold on any complexion. 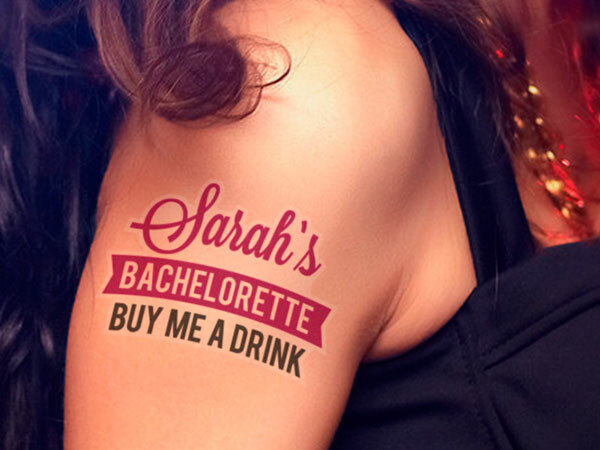 You can also get temporary tattoos of phone numbers or contact info, ensuring kids on field trips or party guests at your bachelorette never get lost! At StickerYou we believe “more is more” and we want you to get the most out of your customized temporary tattoos. StickerYou’s specialty temporary tattoos let you make it stick in metallics, glitter, glow in the dark, and even premium with white ink. Want only part of your temporary tattoo to shine? No problem! StickerYou lets you totally customize your specialty tattoos; chose from flood, spot, pattern, even gradients for your metallic specialty temporary tattoos. With metallic, glitter, and glow in the dark specialty tattoos, you’ll be sure to stand out at any event! Q: Why should I buy my custom temporary tattoos from StickerYou instead of making my own at home? A: There are a few reasons we don’t recommend you make your own temporary tattoos at home .The ink your printer takes at home may not be the best quality or the right type to create temporary tattoos, so colours and lines may not be reproduced accurately. Custom fake tattoos also need to be printed on custom temporary tattoo transfer paper, which not all printers are calibrated to print on which could result in some serious splotchy temporary tattoos. 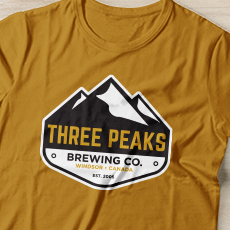 Printers, inks, and special tattoo paper can add up quick, so getting high quality custom temporary tattoos from StickerYou is more cost effective in the long run. Our online image editor also makes it super easy to create gradients and design your own temporary tattoo the way you want to - no extra graphic design courses needed! Q: I want personalized temporary tattoos for my niece’s birthday party, but are they safe to apply on children? A: Yes for sure! Our custom temporary tattoos are printed with non-toxic inks making them fun and safe for both kids’ and parties. Q: I customized a bunch of temporary tattoos, now what am I going to do with them all? A: Temporary tattoos that you can customize yourself can serve many purposes in a contemporary society. We don’t have the science to back it up, but we’re 99.9% certain that temporary tattoos liven up every party. They also make for super cool and effective handouts for businesses. 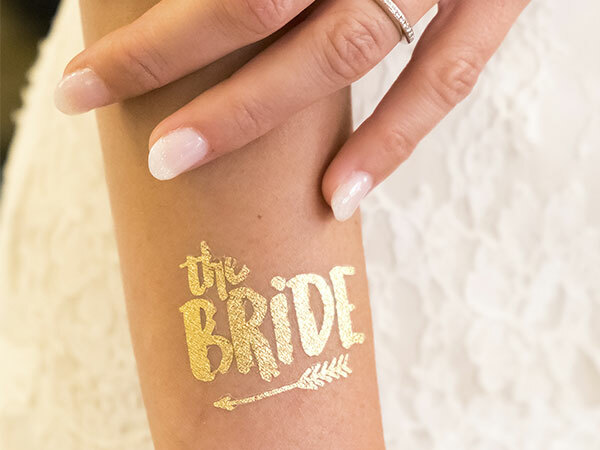 You can also personalize temporary tattoos with things like phone numbers or addresses to keep groups of kids safe on class field trips or squads of bridesmaids at bachelorette parties. High quality temporary tattoos are also finding themselves being used in the craft world as they can be applied to glass to create interesting votives, centrepieces, or home and party decor! Q: How long are my high quality temporary tattoos going to last when I apply them? A: Our high quality temporary tattoo ink can last on skin for a week, or longer, depending on how you take care of them. Q: Are my custom tattoos going to take a long time to apply? A: If you have a spare 10-15 seconds you have enough time to apply a temporary tattoo! Q: Before I cover my body in my custom temporary tattoos how easy are they remove? A: Very easy. Temporary tattoos can be removed immediately with a cotton swab dipped in baby oil or rubbing alcohol. They’ll eventually come off with soap and water. Q: Are temporary tattoos easy to customize? A: With StickerYou’s award-winning temporary tattoo maker we’ve made customizing your own high quality temporary tattoos super easy. You can have multiple custom tattoos on a single page and easily add text, create gradients, even chose different colours for different parts of your tattoo. If you need some inspiration, we even have huge database of images you can fully customize to design your own temporary tattoo!